When the cold sets in, and its time to layer up, make sure you do it with brands that keep working as hard as you do. There are plenty of men's sweatshirt and pullover options out there, but if the brand tag doesn’t tell you it’ll work hard to keep you comforta ... (see full details) (see specifications) #1310031-016. When the cold sets in, and its time to layer up, make sure you do it with brands that keep working as hard as you do. There are plenty of men's sweatshirt and pullover options out there, but if the brand tag doesn’t tell you it’ll work hard to keep you comfortable, it's not worth your time. Choose a brand that works, like CAT Apparel. This CAT Apparel Men’s 1310031 016 Black Concord Fleece Quarter-Zip Pullover Sweatshirt is a perfect addition to your winter wardrobe. 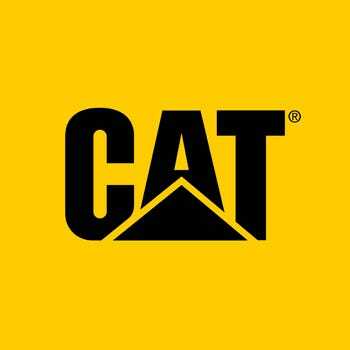 With so much understanding of the conditions of job sites all around the world, CAT, the name you trust for your heavy equipment, is using their hardworking expertise to produce durable clothing and boots that are tough enough to keep up. We all know CAT gets the job done, so it only makes sense to have work clothes that can keep up, too. Whether you’re looking for a pullover fleece for work or leisure, the comfort, style and quality makes this the ideal choice for any hardworking person. If you’re shopping for a great gift for a hardworking guy (even if that hardworking guy is yourself), you’ve found it. This handsome, 4.7-ounce, black 100% polyester microfleece pullover is soft, warm, and tough. An easy layer to add to your cold weather gear, the ¼ zip pullover is ideal for so many occasions. Easy to get on and off overhead and over hats, the quarter-zip men's top is functional and practical on the job site. The added style of this short zipper is a lucky side effect because this added touch takes this microfleece from a simple black sweatshirt to a stylish addition to any outfit. Wear it on the job, at the office, to the tailgate, or to church, the versatile style and tough material goes anywhere. Cold weather brings plenty of changes, from what you wear to maybe even your facial hair. When it’s beard season, you have no need to fear zipping up the contrasting zipper on this fleece. The storm flap and beard guard protect your facial hair (should you have any) from getting caught in the zipper while keeping the wind out in the worst weather. The CAT logo appears on a patch on the left chest of this black pullover ¼ zip Concord CAT Apparel sweatshirt. With an overall smooth look and warm microfleece finish, you'll look and feel great in this men’s pullover. Leave the collar popped, fold it down, or zip it up - you have so many options with this quarter-zip fleece. The heat-trapping microfleece will use your own body heat to keep you warm on the job or when you're just out and about. Perfect for nearly any occasion and always professional looking, this black CAT sweatshirt is a necessity for your winter wear. When you want hardworking warmth, you need this CAT Apparel Men’s 1310031 016 Black Concord Fleece Quarter-Zip Pullover Sweatshirt from Working Person's Store. this sweatshirt is so warm and comfortable. material is soft and my wife loves the way it stays soft even after laundering. the quarter zip lets me stay extra warm if I zip it all the way up like a turtleneck and keeps me cooler if I want to unzip so it is a nice sweatshirt for layering or for spring or fall days when the temperature is liable to fluctuate. CAT Apparel Sweatshirts: Men's 1310031 016 Black Concord Fleece Quarter-Zip Pullover Sweatshirt is being added to your cart.